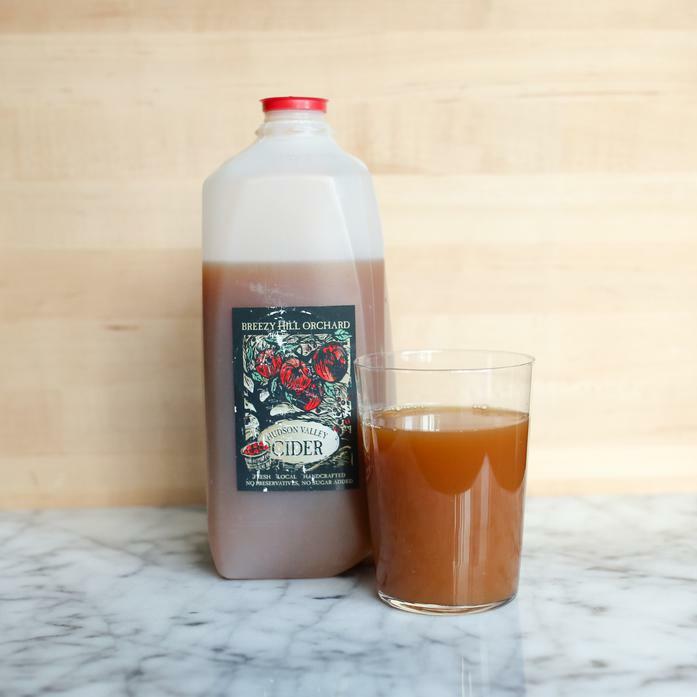 This all-natural apple cider is some of NY's finest. Sweet and rich, we love it both cold and warm for a perfect fall and winter beverage. We even use it to make sangria! Our cider is fresh pressed at Breezy Hill Orchards in Staatsburg, NY. There are no additives or fillers - just 100% fresh NY fruit.